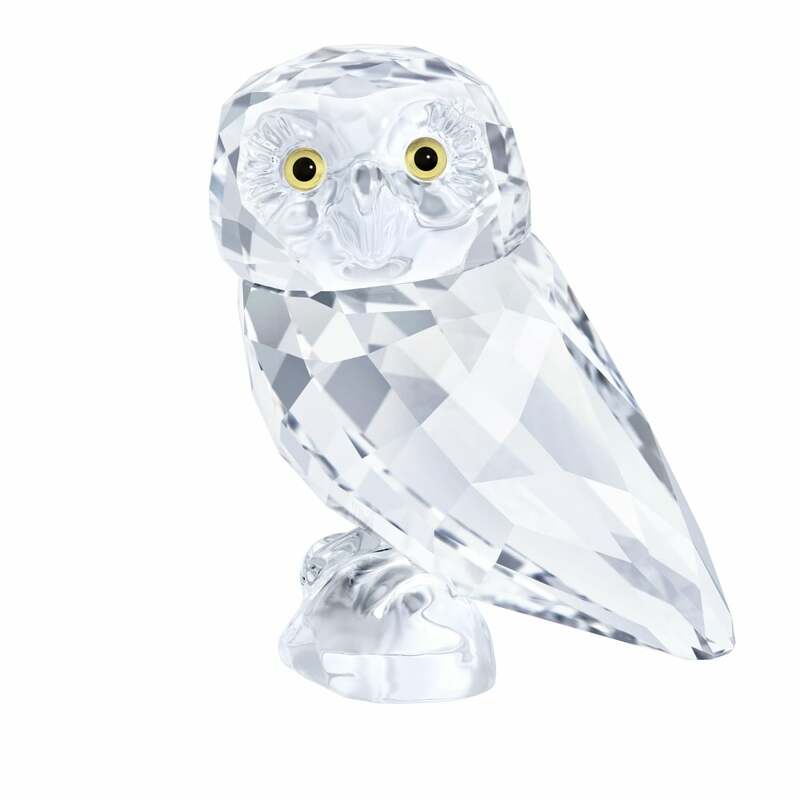 This lovely little owlet has been created in multi-faceted Swarovski Crystal. Can't you just see him sparkling with intelligence? Sat on his perch, he looks out through his inquisitive yellow coloured eyes. He's the perfect symbol of wisdom and intelligence, and would make the perfect gift for bird lovers and collectors alike. Please Note: This is not a toy, and is not suitable for children under the age of 15 years.